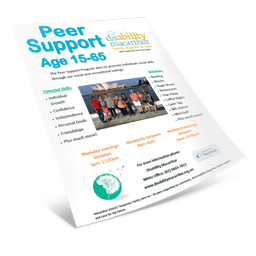 Over the past 30 years of providing disability support services, we have discovered there are many myths, some mistakes and lots of questions about supporting people with disabilities. Here we will try to dispel the confusion so you can access the support services you and your family need. Just because a person has some disabilities doesn’t mean they are not healthy. They may be very healthy – they are just not able to do certain things. And so the support they need is not always medical, it is often more of a social support. Disability Macarthur provides social support which includes integration with family, friends and community so you and your family can live a rich and fulfilling life. When it comes to looking after a person with a serious medical condition, it’s vital to have specialised medical qualifications. But social support is different. 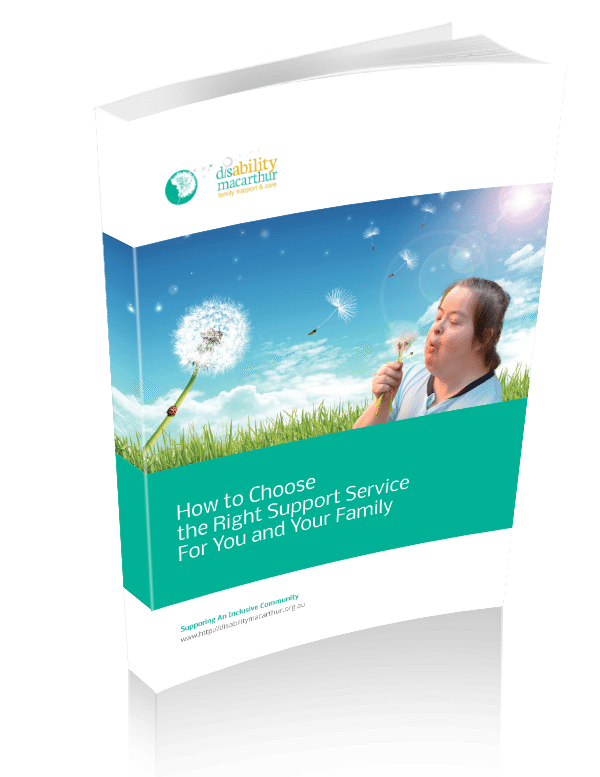 While Disability Macarthur staff and volunteers are qualified and undergo ongoing training, nothing equips them better for supporting your child than clear communication with you. Tell us what you do to care for your child. 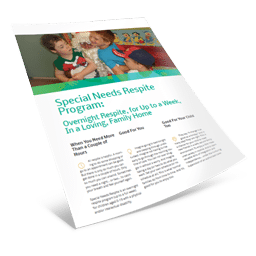 Then we can provide a more familiar support program to help your child thrive. Most support services offer a variety of programs. The problem is when none of those programs seem to meet your unique needs. 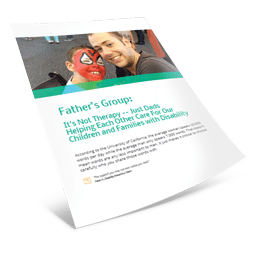 Disability Macarthur is family centric. 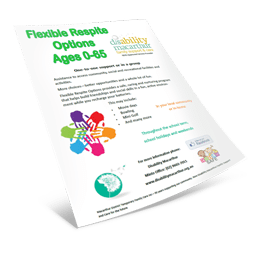 We assess your needs and offer flexible options to provide the support for you and your family. Being able to ‘label’ a disability can give a degree of comfort, making it easier to explain the condition to others, and even qualify for government funding. But not every disability can be given a label. Sometimes people have general physical and/or intellectual disabilities that just make it hard for them to do certain things. We try not to label our clients. And we don’t prejudge what they can or can’t do. We simply support them to be the best they can be and have a lot of fun along the way. We often try to shield those we love in order to protect them. But in the process we can prevent them from developing and even cause them to be forever reliant on us. 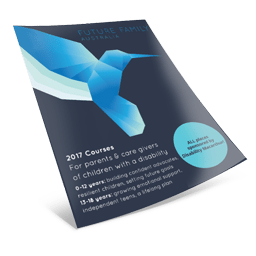 Where appropriate, we encourage parents and carers to develop a degree of separation in order to foster independence in their child. That’s one of the benefits of many of our programs. 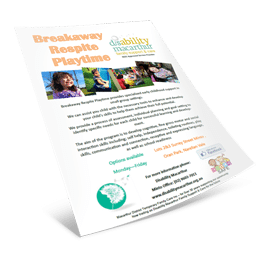 You can enjoy a break knowing we are supporting your child as they develop important life skills leading to greater independence. Naturally you child will be more comfortable at home. Routine and familiarity is important. And although it may seem challenging at first, it’s good (and necessary) for them to experience new things – go new places and meet new people. We support clients as they try things for the first time. And we celebrate every small achievement to maximise their confidence and sense of accomplishment. Some children discover they can sing. Others love to dance. Many find they are good at craft. No matter what the activity is, the journey of growth is an amazing adventure. When children have serious behavioural challenges, it can seem like there is no place for them in society. Most programs won’t take them and the ones that do may expel them for inappropriate behaviour. We see immeasurable value in every person and seek to support them to become their best. It can be challenging. But as long as you are willing to love and nurture them, so are we. Funding can be complicated. And many programs can simply seem out of reach. We specialise in finding funding for people who don’t quite fit the funding mould. We get creative and source alternative activities at affordable prices or we invite our community network to help out. We do everything we can to make sure money doesn’t prevent you and your family from living the life you want. 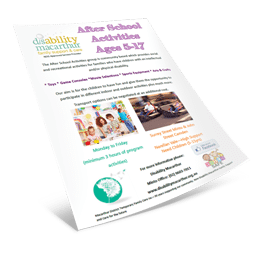 Every day activities can be a real challenge when you have a child with a disability. It can take forever to get ready and you have to prepare for every possible crisis that may occur. It can be exhausting. Overwhelming. And it may even seem it’s not worth it. We help you and your family connect with the community and do ‘normal’ things again. It may be just a trip to the movies or a picnic in the park. But it’s making memories. And it’s living life. 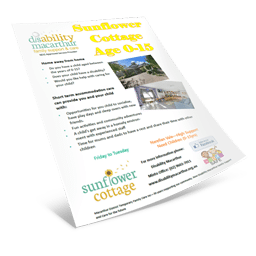 Having a child with a disability creates a big change in your life. It can even feel like your life is over. But it doesn’t have to be. We provide programs that help you reset your goals and dream again. And we support you and your family as you embark on new adventures. It’s not always easy. But this doesn’t mean the end of your career. We’re here to help. Naturally, there is nobody better qualified to care for you child than you. That’s why we ask you to help us – tell us what you do so we can provide support that is familiar. You simply can’t do it all. Although we’ll never be ‘you’, if you communicate openly with us, we can give you the support you need. When parents reach the point of exhaustion it’s natural to want to give up. Please don’t feel guilty. And don’t feel you have no options left except an institution. 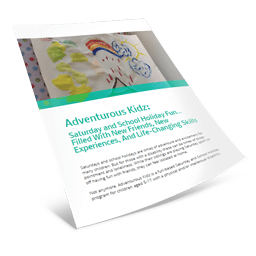 After we assess your child we will recommend the best support and help you survive… and eventually thrive again. If you have any other questions or concerns, please get in touch with our Care Coordinator on (02) 9603 7011 or complete our enquiry form for a private and confidential conversation.